'The Wall by Samsung' is a consumer version of its cinema screen for theaters. Last year Samsung announced a 34-foot 4K LED TV that could challenge movie theater screens, and now it's ready to sell a version for home use. 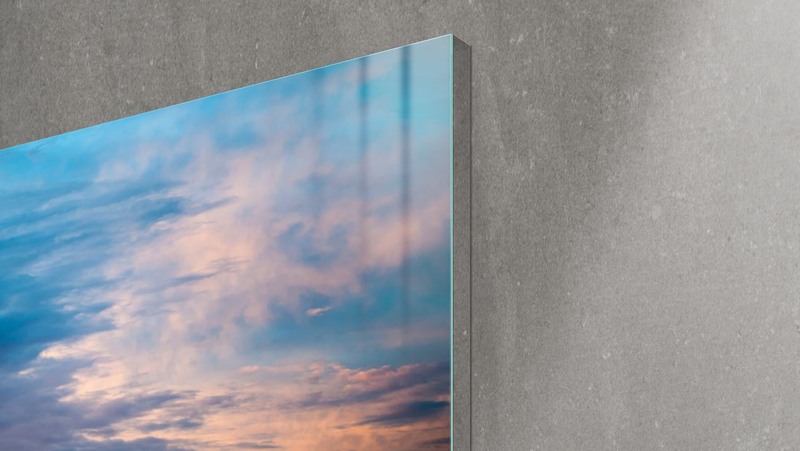 The Wall by Samsung uses similar MicroLED tech that is "self emitting" (read: each pixel works without a backlight) and can be assembled in extremely large sizes thanks to its modular design. We don't have much information to go on yet, but the 146-inch 4K screen we saw promises "outstanding brightness, contrast, and close-to- perfect viewing from any angle." Just something to think about, if an 85-inch 8K TV is too small and projector screens aren't bright enough.